For the purpose of SCADA, protection etc. 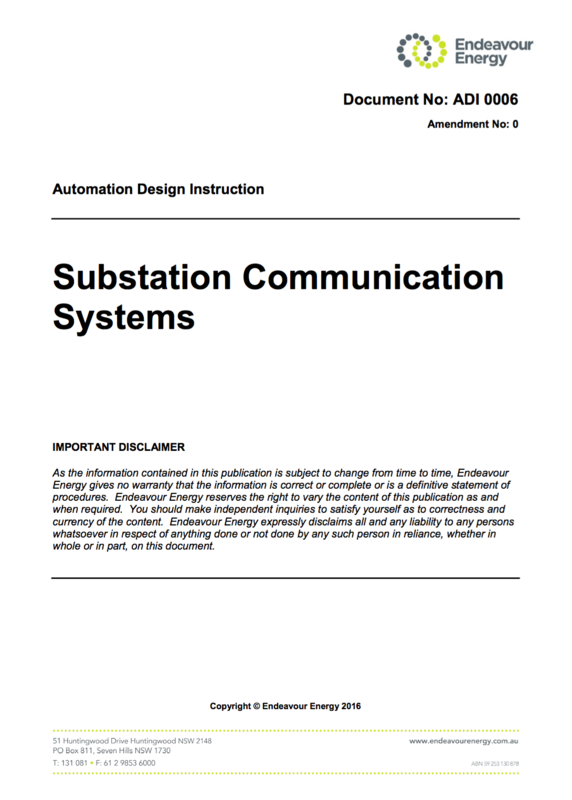 This document covers communication systems for the purpose of SCADA, protection, corporate voice/data, security surveillance and the evolving smart grid within transmission, switching and zone substations operated by Endeavour Energy. It applies to greenfield sites and major augmentations. The relevant information from the Australian and International standards have been summarised in this document. In the event of inconsistencies and/or conflicts between the requirements outlined within this document and the Australian and/or International standards the requirements within this document shall take precedence. Endeavour Energy owns and operates a communications network covering its franchise area to serve the requirements of SCADA, corporate voice/data and security surveillance. An access sub-network with lower capacity (9.6 to 256kbps) point to point, and point to multipoint UHF radio systems extending SCADA communication from the backbone microwave sites to end devices, including substations, auto-reclosers and load-break switches. The upper portion of the communication equipment cabinet contains communication equipment for connecting the WAN to the LAN within the substation. 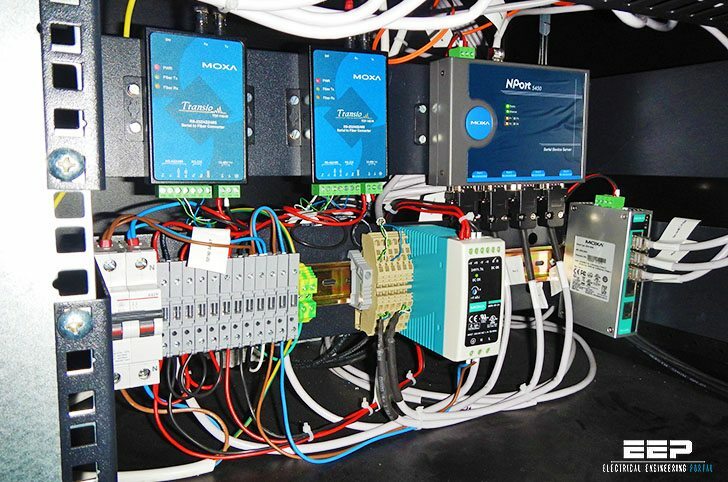 The lower portion of cabinet contains the SCADA RTU. The communication equipment include the MPLS routers, UHF radio, Ethernet switch and the station RTU. The Telecommunications Manager shall be responsible for authorising any site specific variations to this standard. I am researching alternatives for substation communication. I need to understand the basic workings of substation communications, all the methods that exist and the best and most affordable method to utilise in communications of two substations that are located within a 5km radius. Je suis tres intéressé par le sujet cependant je maîtrise pas l’anglais.